In this performance, each piece was accompanied by a backstory and visual sequence presented above the orchestra. 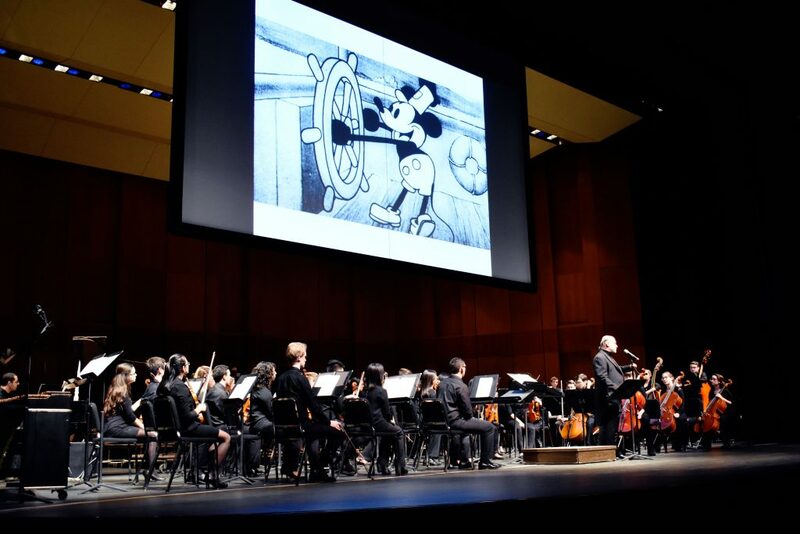 The performance began with “Steamboat Willie,” the first cartoon ever produced by Walt Disney. The orchestra used authentic whistles while the animation was projected onstage. From there, it was on to “Pinocchio” and “Fantasia,” both from 1940, transitioning well with their simple juxtaposition. Next came the “Sleeping Beauty Waltz” from the classic Disney princess story “Sleeping Beauty” (1959). This was shortly followed by two songs from 1964’s “Mary Poppins,” “Feed the Birds” and “A Spoonful of Sugar.” The audience joined in, singing along with both songs. Reaching into modernity, a quick jump was made to 1989’s “Under the Sea” from “The Little Mermaid,” written by Alan Menken. Lastly, everyone’s favorite ice queen came to life on the stage as every violin and French horn played along to selections from “Frozen” (2013). The show was an overall dance through time and history. The orchestra’s next concert, “Venetian Traditions,” will be held on Saturday, Dec. 2, and will feature the University Chorus. The concert will be holiday-themed, focusing on the music of 17th-century Venice.